I worked as a flower girl at a grocery downtown. I sorted the roses, the lilies, the carnations, and I sorted through the people who ordered bouquets; each person wanting something special, something that would mean something significant to whoever would receive it. Nothing says “I care about you” like a bunch of carnations you picked up while grabbing eggs and 2% milk. 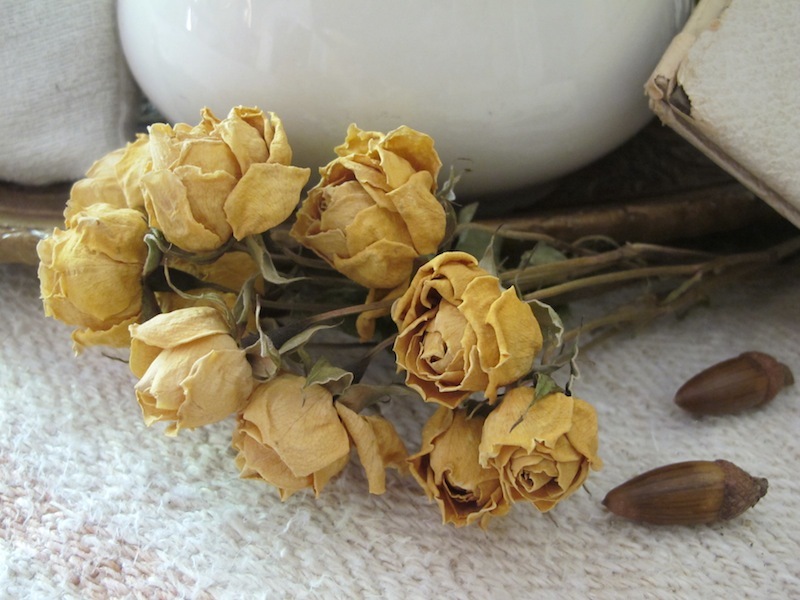 Five years, of dying flowers and crushed leaves; of funerals and wedding, proposals, bridal showers, and the soft pink roses being ordered for the newly-made mothers. I wove together these blossoms with contempt and with a carefulness that my scarred hands were surprised to posses. The dichotomy of distaste for the futility and inevitable death of the bouquets and the sororal kinship I felt with the blooms I gathered together became my strange and unreasonable passion. Next to an isle of bologna and turkey bacon, and in front of teen-aged cashiers who didn’t have emotions to spare, I found a chaos that became my haven. I would never have a relationship, with a man, woman or animal, that would ever compare to the relationship I had with the roses I interacted with every day for those five years. The roses were proud and mocking; they were beautiful in an obvious way, and they would sting and punish those who did not reckon with them carefully enough. Red, pink, white, yellow- each color for a different occasion, but each occasion was ready and willing to draw blood. The daffodils, lilies, and tulips were sweet and lovely. They demanded nothing but water and sunshine to bring a touch of beauty to the lives of those around them. These flowers hadn’t had sonnets written for them; they had no ego, craved no music or poetry in their honor. It was the roses who would rise up and ask for notice and praise. Valentine’s Day was when a bouquet of roses was held in the highest esteems, and for a florist, the days before would be an annual battle ground- the thorns would take as many causalities as they could manage. Not only does every rose have its thorns; they have hopelessly falling petals and an incredible thirst. When a million people would touch, caress, and destroy my displays, I would end up a cold, wet, bleeding, and covered in flower carcasses. As everyone tended to their valentines, I would tend to the fatalities from the festivities. The only person who understood the misery this holiday would bring was my also-single roommate; a server at an uptown restaurant. After this atrocity ended, she and I had a celebration of our own; hoping that in a few days, my florist hands would be no longer ruined, and her waitress’s feet would be no longer swollen. We would go to the dinky convenience store behind out apartment, buying beef jerky and warm moscato, and drink ourselves silly and pretend Mother’s Day would never come. This entry was posted in Short Stories, Uncategorized and tagged blood, broken heart, bukowski, florist, flowers, love, microfiction, romance, roses, single, story, valentine's day, white girl. Bookmark the permalink.